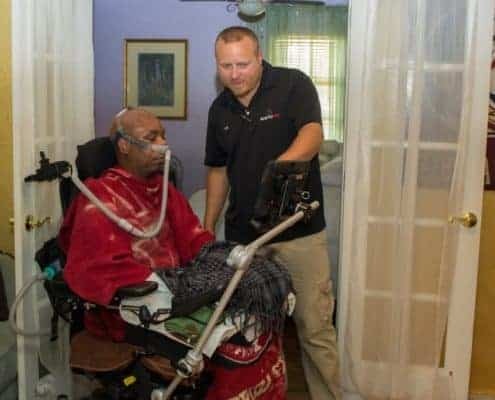 A few weeks ago, a story aired on ABC Action News (WFTS) in Tampa, Florida about a gentleman named Robert McGruder and his friend, Eric Chapman. 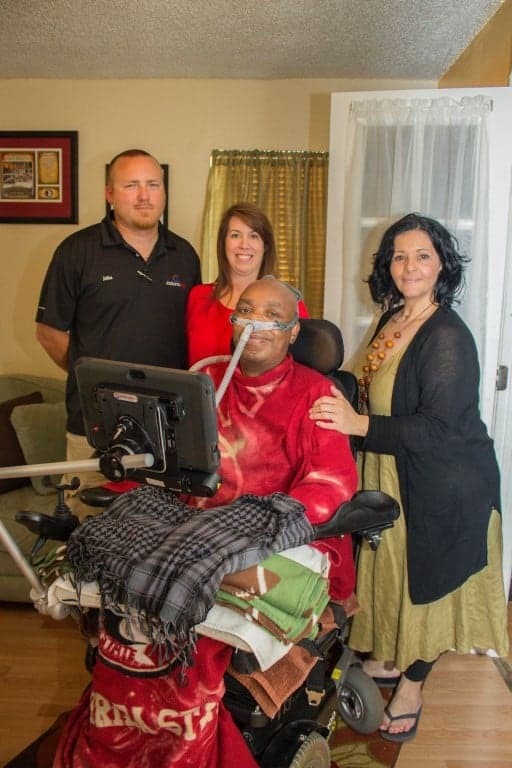 Eric has amyotrophic lateral sclerosis (ALS). 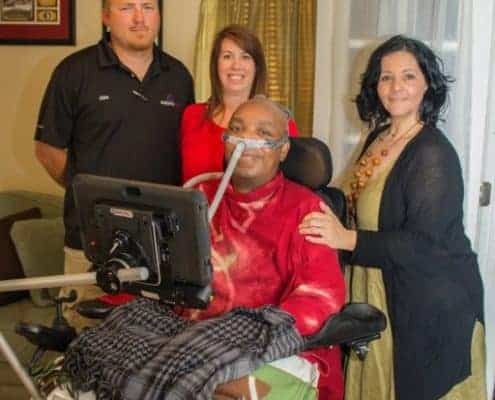 He dreams of having a covered outdoor patio to enjoy what precious time he has left. Constructing a patio is quite costly, so Robert put some of his most prized possessions up for auction to raise money for Eric’s patio. 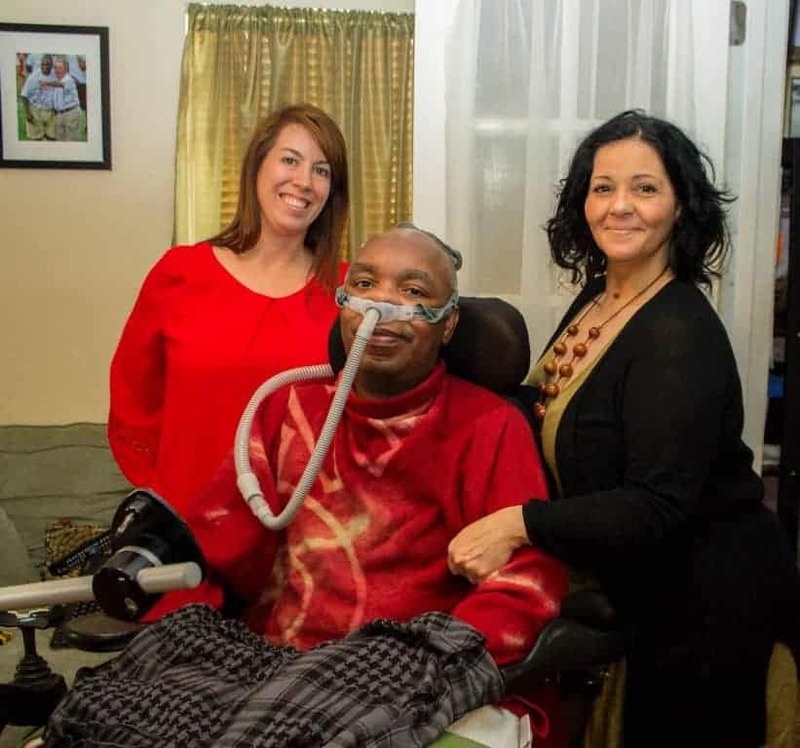 Our Program Director, Lisa Swiger, was deeply touched by this story about Eric and his friend Robert. Although the money needed to build Eric’s patio was raised as a result of the news story, Lisa wanted to do more. 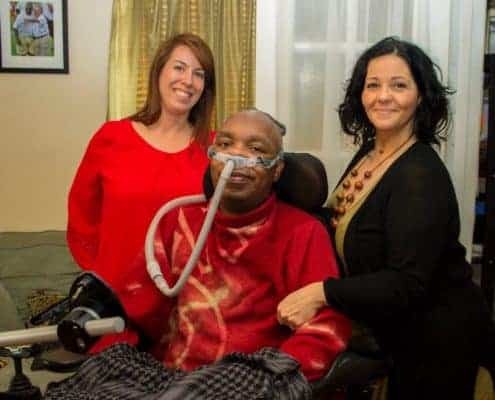 ABC Action News reporter Cameron Polom was kind enough to put ASI in touch with Eric and his lovely wife, Margarita. 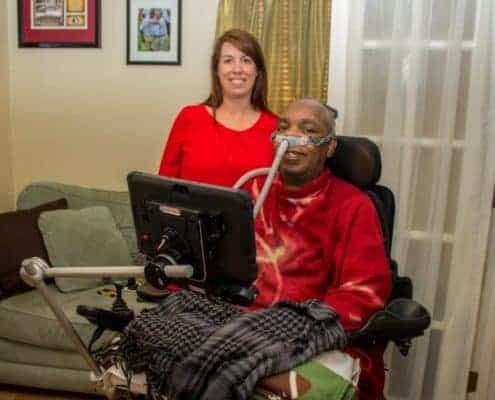 Last week, Lisa, along with ASI technician John Sanders, traveled to their Tampa residence to install an environmental control unit (ECU) for Eric. 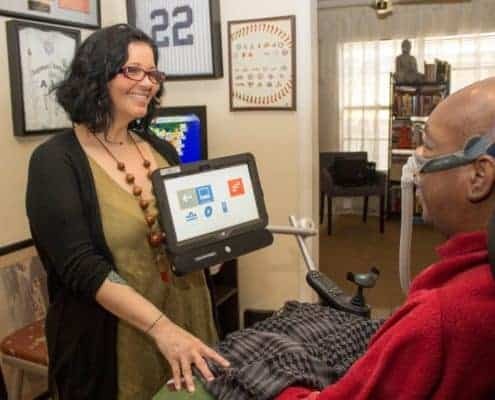 The ECU – equipped with eyegaze technology so he can control the device with his eyes – will not only assist him with communicating, but Eric will now be able to turn on lights, surf the Internet and even control his television on his own. 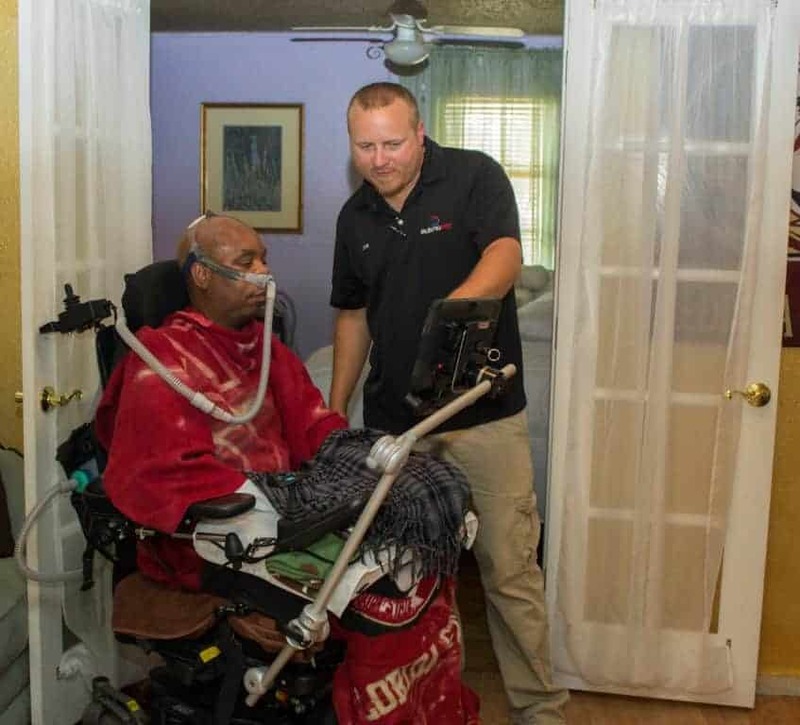 ASI plans to also install an automatic door opener for Eric once his deck is built. 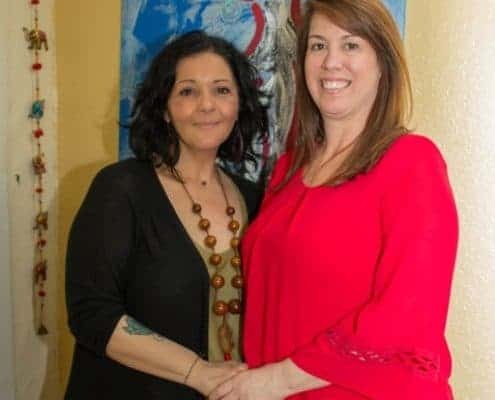 Lisa had an opportunity to spend a lot of time with Margarita. Both Margarita and Eric are upbeat and ever so sweet. 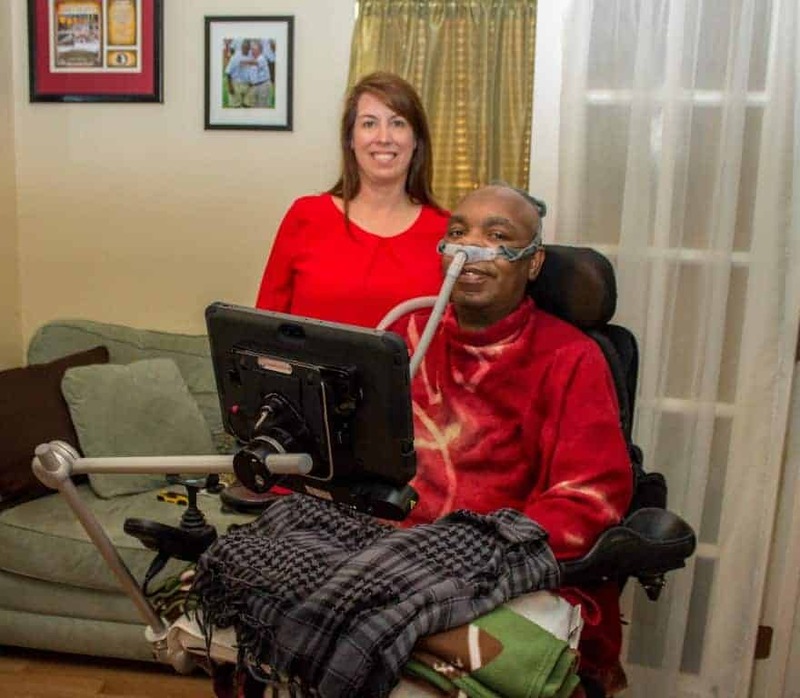 Despite Eric’s disease, they are both still smiling and living life. The family is on a very fixed income as Eric is unable to work and Margarita is now his full time caregiver. Margarita indicated she attempted in the past to obtain an ECU for Eric, but kept running into obstacles. This beautiful couple touched our hearts. 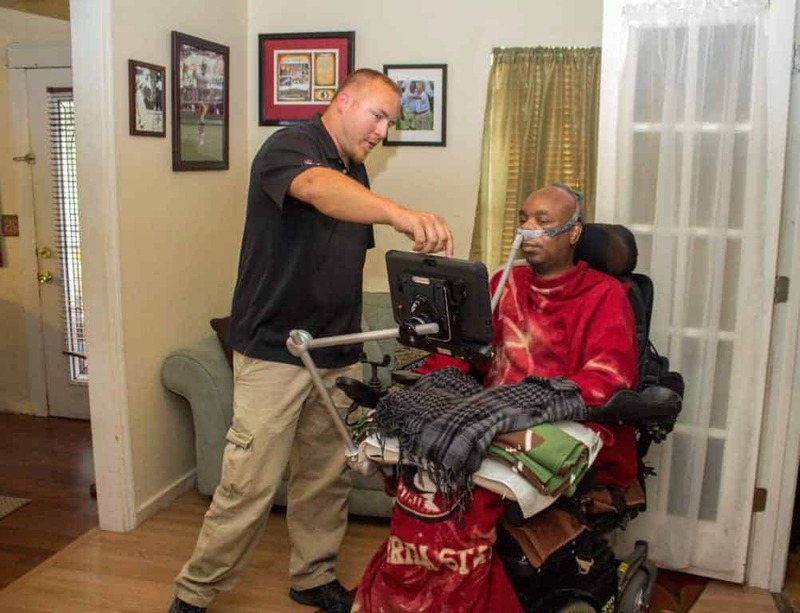 We are honored to help and be part of their lives! 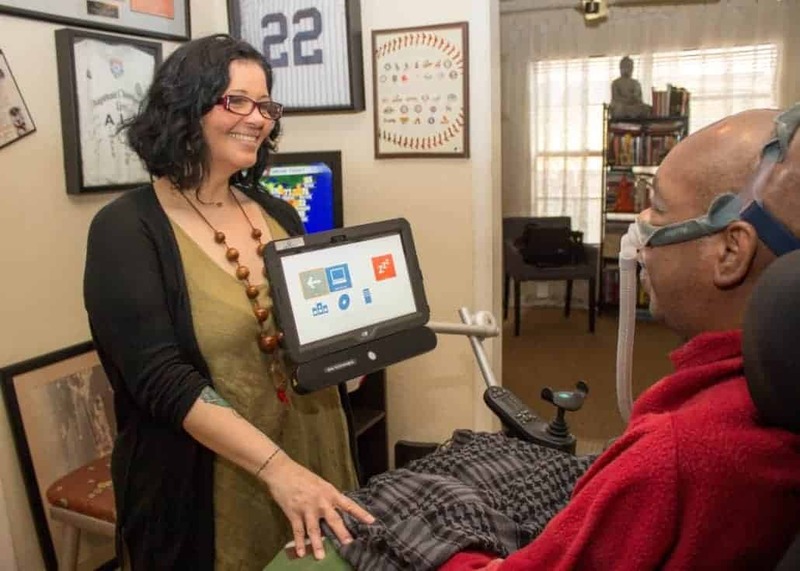 “With much thanks and gratitude to both Lisa and Brice at ASI for making it possible for Eric to have a fully functional device such as the ECU. 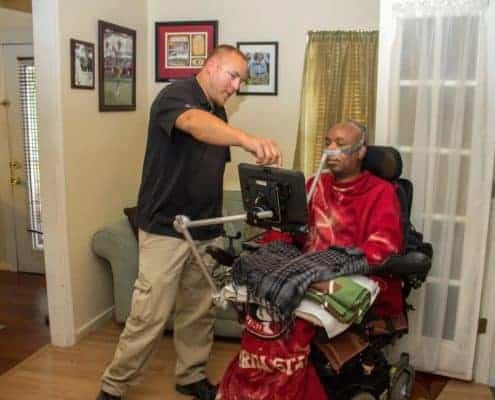 This act of kindness has allowed for Eric to finally be able to check his own Facebook, send text messages, change the television channel, and soon, be able to open a door!! Amazing right? What does having the ECU bring to our life: a sense of independence, of freedom. 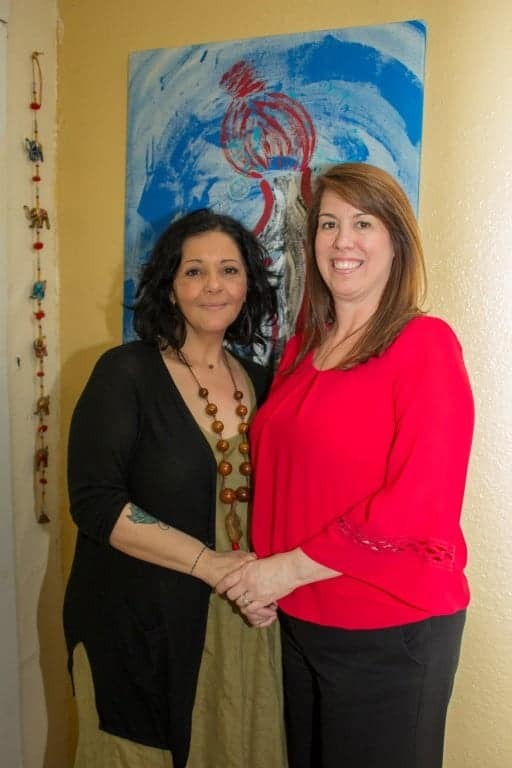 The moment I heard Lisa’s laughter enter my room, I knew I had to go meet the woman who owned such an innocent giggle and contagious laughter. 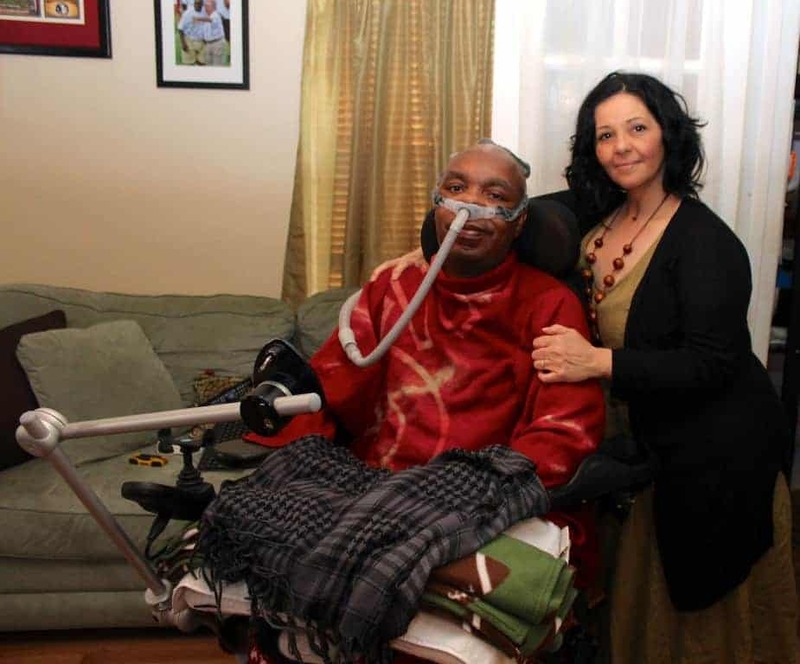 Lisa saw the ABC Action News clip that shared Robert McGruder’s quest to build Eric a patio. She was so touched by the story that she felt she had to not only meet us in person, but to also enhance Eric’s lifestyle. She did both with pure selflessness. I believe that the most valuable possession we humans have is TIME. Actually, Margarita – it is we who are Blessed. Thank you for sharing your lives and story!